The sun glinted off the sea as the breathtaking coastal drive led us to the harbour at Kleinmond. Nestled at its foot, literally at the water’s edge, was a massive white marquee tent surrounded by stalls, promotional flags and a gathering of people. A powerful female voice, with a foot-stomping, country-styled melody got my endorphins pumping as I ran, grinning, to join the crowd. Sixgun Gospel was up on stage, and they really set the bar for the rest of the festival. One of my WOICT colleagues described them at Synergy Live last year as a band “you might not be listening to now, but soon.” And she was spot on. The band worked the crowd into a frenzy with their upbeat “hoedown” songs. Chatting to lead singer Danieylla Rodin back stage later, she described their music style as “roots”. A kind of country, blue-grass influenced genre. Accompanying them on harmonica was Riaan Smit. Now there’s someone to hear more. Smit remained on stage to perform as lead singer of Crimson House Blues, giving a set that left the biggest impression of the whole festival. They opened with a classic Blues tune about the vagaries and troubles of life. The sway of the tune, the harmonica’s cry, the deep, gravelly voice of Smit – it was as though I was sitting in a 1950s blues joint in Chicago, listening to Louis Armstrong. Blues is feeling and emotion wrenched from the soul and put into music. And Smit nailed it. moustache and wears a fedora hat and sunglasses indoors. been because everyone was getting more and more lubricated as the time went by, but Kleinmond sure got festive. and the sheer quality of the music. Apartheid message to the people of South Africa. He was also chosen to sing at Mandela’s 1994 inauguration. Yep, that’s right, The Big Blues Festival got the big dogs. melodies, leaving me wanting to wrap my arms around the closest attractive looking thing I could find. over who got together to let loose and enjoy music that speaks to the spirit and reflects our inner thoughts. The Big Blues Festival 2012 took place 2 & 3 March 2012 in Kleinmond, near Hermanus. It’s a pity really. In future anybody would probably just ignore a “review” done by “What’s on in Cape Town” due to the lack of in put. Just saying. Thank you for your input Claude. We do of course endeavour to do our best but sometimes circumstances are against us. 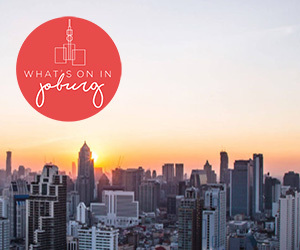 WhatsoninCapeTown is still small, but rapidly growing in popularity. As our fan base grows, so we hope to be able to bring you more. I would have loved to have been able to attend the Friday performance, but unfortunately I was only able to be there on Saturday. I heard that Friday was amazing though. The artists I chose to mention were highlights for me, I was after all writing from my personal experience. Caro. Just curious. What about the whole of Friday aftenoon and evening and all the other bands on Saturday you’ve failed to mention. Kinda lame don’t you think? Well done Caro. Nice piece unfortunately I am not in to that style of music but I could picture it all.